The summer period is a time when, by and large, boxing takes a back-seat to other sports, it takes a break. Right now sports fans the world over have The World Cup, Wimbledon and various horse racing meetings to keep them entertained. There are however, a few big fights set for the summer weeks; some Summer Sizzlers. On July 15 we have the finally confirmed as definite Lucas Matthysse-Manny Pacquiao welterweight clash, and what a shoot-out, slugfest this one could well prove to be. Will it be the end of the Pacquiao era, or the demise of Argentine hero Matthysse? 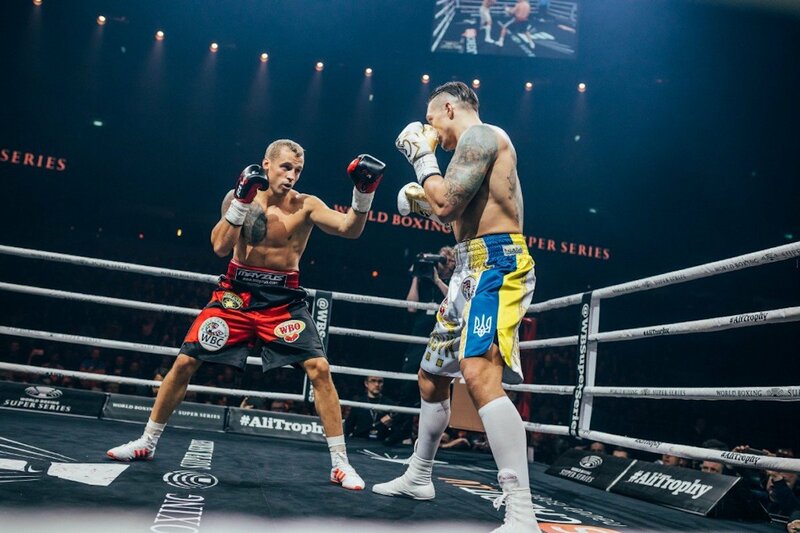 On July 21 we have what is arguably THE hottest boxing ticket of not only the summer but perhaps of the entire year, in the WBSS cruiserweight grand final between rival champions Oleksandr Usyk and Murat Gassiev. A huge event of a fight, for all four 200 pound world titles, this one also pits two of the finest fighters in the world pound-for-pound. Is this superb match-up and event getting the hype it should be getting? Maybe not, but come fight-night, the fans who are there and who tune in will NOT be disappointed. This one really could be a classic. Also for WBSS fans, the super-middleweight final, between George Groves and Callum Smith, is also set to take place at a determined date this summer. This one should also not be missed. Mikey Garcia, for many fans a top-3 P-4-P entrant, takes on Robert Easter Junior in an important lightweight unification showdown on July 28. Is Garcia making the mistake of looking past the unbeaten Easter, sleeping on him as the saying goes? Maybe, and if so we could get a real summer highlight of a fight. Also on July 28, we have Eddie Hearn’s latest pay-per-view offering from London. Topped by Dillian Whyte against Joseph Parker, the card will also feature Kell Brook, Katie Taylor, Connor Benn, Dereck Chisora and Carlos Takam in action. Whether this card is worthy of it’s £19.99 price tag is a question some (including this writer) have asked, but there could be some good battles on display. Throw in the underrated Carl Frampton’s August 18 fight with unbeaten former Olympian Luke Jackson (with Tyson Fury also in action on the card, in his second comeback fight) and it’s clear it’s not at all an empty boxing schedule this summer. The pick from the above fights, though, has to be the Gassiev-Usyk rumble. The winner will not only pick up the illustrious Muhammad Ali Trophy, but will also become the first man in history to hold the WBC/WBA/IBF/WBO titles at cruiserweight. Get the beers in for this one!